Ani v’Ata. 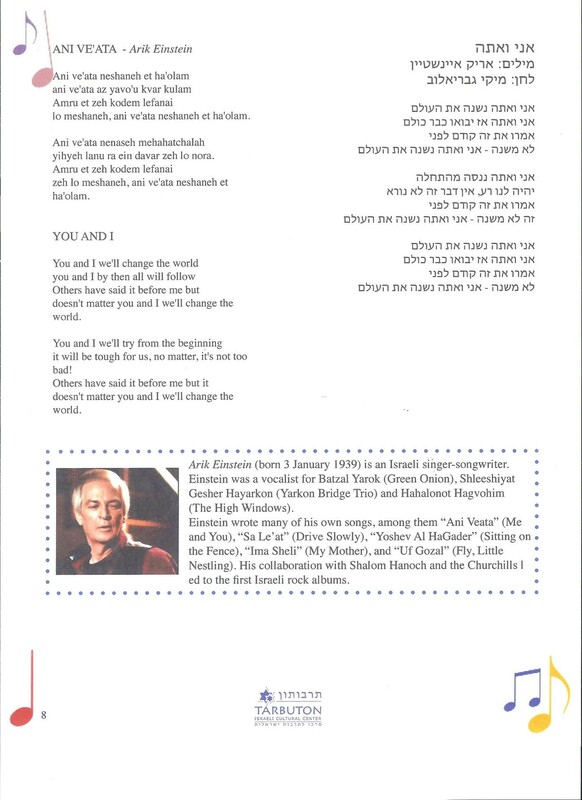 A classic of Arik’s, our shiron with lyrics and YouTube Video. Celebrate his life, and legacy, and the gift of his music during Hannukah with family and friends.